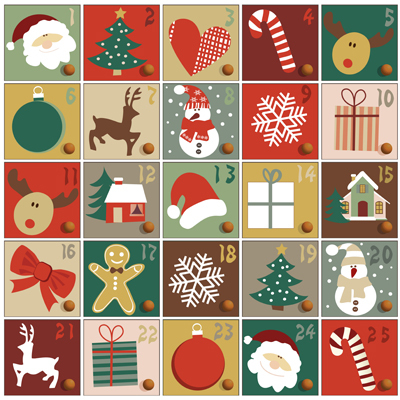 Many of you will have already chosen your advent calendar and are now eagerly awaiting the start of the Christmas countdown (and the first chocolate treat!) but do you know where advent comes from? Advent comes from the Latin word ‘adventus’, meaning arrival or coming. As Christians believe that Christmas celebrates the arrival of Jesus Christ on earth, the church coined the term ‘advent’ to count down to his arrival on Christmas day. They believe that the season of Christmas begins at the end of advent, ie: the eve before Christmas = Christmas Eve! Their Christmas season then lasts for twelve days, ending on January 6th, known as Epiphany, or Three Kings Day, which marks the arrival of the three kings and thus the baptism of baby Jesus. There are four Sundays of Advent before Christmas day, with the name ‘Advent Sunday’ attributed to the first – this is always the Sunday nearest to the 30th of November, St Andrews day. To mark these Sundays, many Christian houses have a symbolic Advent wreath. The wreath is made of evergreen branches weaved in a circular shape – symbolising God’s eternal life – and holds four red candles. Each candle represents one of the four Sundays of Advent. 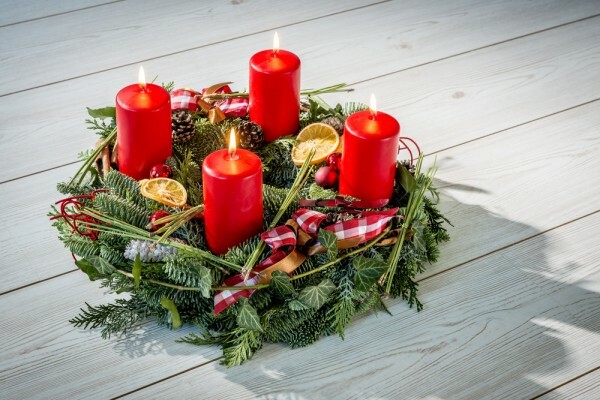 In some wreaths a fifth candle (traditionally white) stands in the centre of the circle. This is the Christ Candle, and is lit on Christmas day. Together the candles are said to symbolise the light of God coming into the world, through the birth of his son Jesus. Although the first Advent Sunday often falls in November, Advent calendars always start on the 1st December, with 24 ‘windows’ (hidden behind ‘doors’) counting down to Christmas eve. As an adult he went into partnership with his friend Reichhold and opened a printing office. In 1908, they produced what is thought to be the first-ever printed Advent Calendar with a small coloured picture for each day in Advent. Later on, at the beginning of the 20th century, they hit on the idea of making the pictures into little shuttered windows for the children to open day by day in order to heighten their sense of expectation. Originally the cardboard windows opened to reveal religious pictures, although now they tend to reveal a festive picture and a chocolate treat…or a piece of lego, or even a nail varnish! Modern advent calendars are now available around the world, and the tradition is no longer seen as purely for Christians. To many it is simply an exciting way to count down to Christmas day!